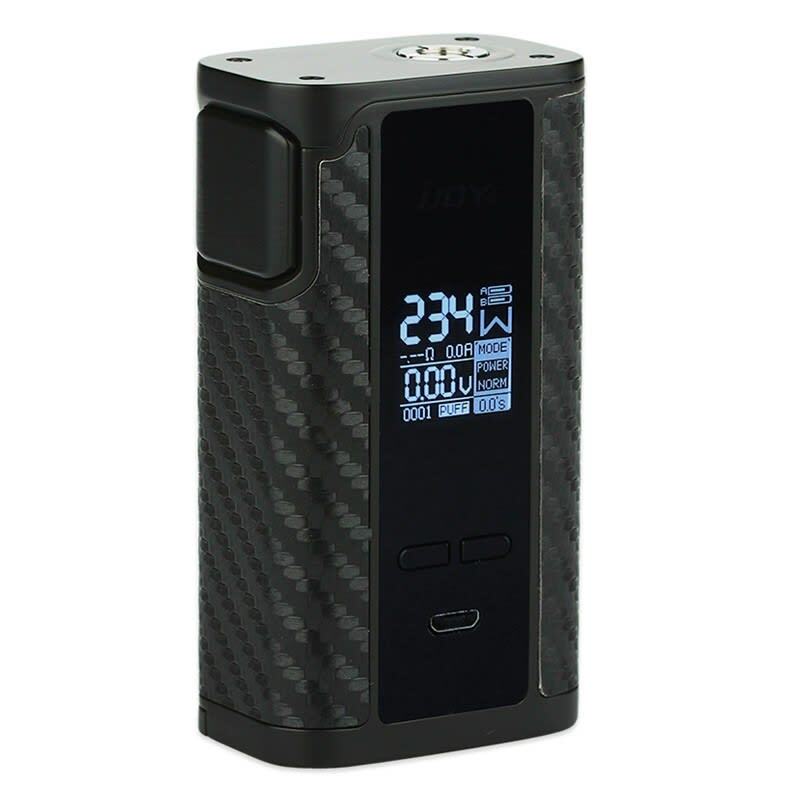 The iJoy Captain PD270 dual battery 234W mod includes two 20700 cells, and a silicone 18650 adapter. This powerful mod features a large bright screen and temperature control, and supports a resitance range of 0.05 - 3.0 ohm. 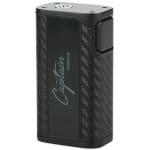 The Captain by iJoy is a 234W TC dual battery mod which includes two iJoy 20700 30A 3000mAh cells - the latest breakthrough in high capacfity, high drain battery technology - and silicone 18650 adapter. A large informative OLED screen displays battery life and amp draw, atomizer resistance (0.05 - 3.0 ohm), and puff counter. Multiple wattage profiles (normal, soft, hard, custom) allow you to ramp the power up or down through the first 3 seconds of firing, and temperature control supports NI/TI/SS. The 510 connection is seated in a 32 x 48 mm deck, making for no overhang with even the largest of atomizers. The soft textured skin is easy to grip, and the large fire button is stiff. - To power on/off the device fast click the fire button five times. - To enter the menu fast click the fire button three times - navigate Pw, Tc, TCR, screen time, and puff reset with +/-, and select with fire button. - Adjust wattage with + & - buttons. 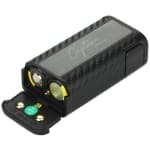 In Tc adjust wattage first with +/-, W symbol will flash 3 seconds and stop, then adjust temp with +/-. - Hold + and - buttons for 2 seconds to display precise resistance. I love this MOD and how it can do 0.05 in wattage mode. I have had it for over a year and its still kicking and I use it everyday. I thought bottom door would be a problem and it isn't. Still using same batteries that CAME WITH IT. This mod is pretty sweet! Got a rainbow version and it even came with 2 20700 batteries included! I use a TFV12 at 160 watts and I'm getting at least 2 days of battery life out of this device. All I gotta say is SICK MOD BRO! Great addition to my mod collection! Batteries last me a good couple of days before I need to recharge, and it’s so awesome that they were included in the kit. A really nice vape. Sick mod, so happy that it came with batteries. Lasts about two days before I have to recharge. The rainbow model looks awesome! Sick addition to my collection, and it comes with the 20700 batteries. I use a lot of different high power mods, but I've leaned towards slimmer, smaller, and lighter. I recently started getting into some larger atomizers that made for a lot of overhang, so I went shopping for a bigger base. Thrilled to have found the Captain - physically fits the bill perfectly, and the 20700 cells are exactly what my high wattage use needed. The large fire button is easy to press with a highly responsive click, and the mod powers up and shuts off quickly. Curve mode is simple and fast to configure using a percentage of the base power for 6 half second intervals, meaning if you adjust the base power the curve will adjust with it. The silicone 18650 conversion sleeve easily fits in place, makes solid contacts, and performs with no drop. The rubberized grips prevent slips. It's a hefty mod for sure, but it's not a "drawback" - just something to be aware of. You won't want to try to carry it in your pocket much because of the size and weight, but it's real darn impressive sitting on the table!!! I've been using this mod for a couple of weeks now and I've been enjoying it quite a bit. I tend to use RDAs at anywhere between 80-100w and this mod has been performing really well there, especially in terms of battery life. Changing to 20700s from 18650s feels like a pretty good idea, using a dual 18650 mod I'd be changing to my second pair towards the end of the day. With the 20700s on the other hand, I find that my mod tends to last me all day without carrying a second set of batteries, also the fact that it comes with batteries is a big plus. In terms of feel, it's a good device. It has a good weight, the mod is also fairly big to accommodate the bigger batteries and the button is pretty nice and big, admittedly I would have preferred a firing bar but that's only a small con. I'm not a huge fan of the carbon fiber stickers on the sides as they could peel but different replacements are available, but it does look quite nice. The display is pretty big and also nice and bright, it can be a bit confusing at first glance but it does give you all the information you need. Overall, the Captain is a really solid mod, especially for the price. Loving this mod! It is a bigger mod, so for those that want something that come in and out of their pocket easily might not like it. But the dual 20700 batteries last me all day on a full charge. Usually I'm using 3-4 batteries a day on my Wismec RX75. It's built very well and having the batteries come with this is a HUGE plus. Screen is very bright and has all the info you need on the face. Battery flap is very secure and hasn't opened on me ever unless I'm trying to open it. Highly recommend this device.